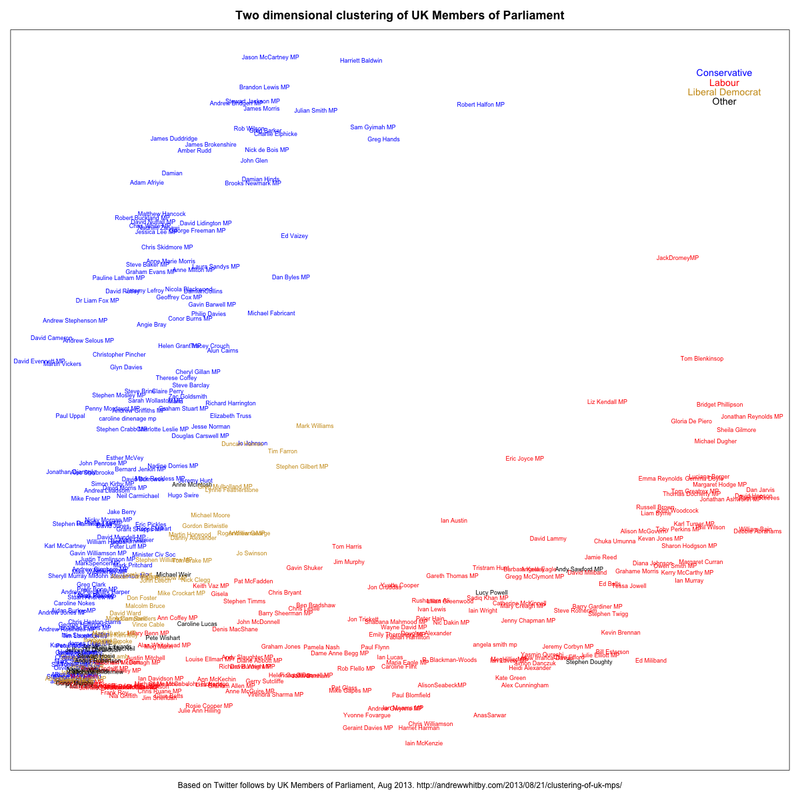 While I have the data, I thought it would be interesting to look at the clustering of UK politicians, based on whom they follow on Twitter. There is nothing too surprising here – clustering works. Click on the image to see it full size, where you can just read the names. The method is multidimensional scaling, implemented by R’s cmdscale and dist functions, with defaults (Euclidean distance). Interpretation of the axes is probably futile, but if anybody can see obvious groupings other than party, let me know in the comments.